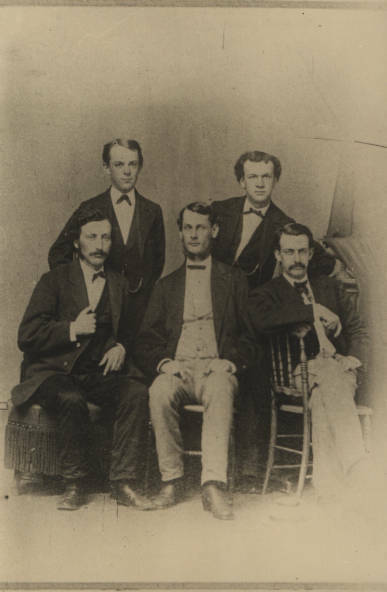 Group portrait of William D. Ronaldson and others, 1869. Pennsylvania-born William D. Ronaldson was a member of the class of 1870. His older brother, Charles E. Ronaldson, also attended Lehigh. Ronaldson went on to become a well-respected doctor in Philadelphia. While he was a student, Ronaldson saved everything he could about his day-to-day activities at Lehigh, and later, at Jefferson Medical College. His scrapbook, on display here, offers a fascinating look at college life in the nineteenth century.